You are here: Home » Learn & Live the Faith » Catechesis » What Puts the “Arch” in Archangel? 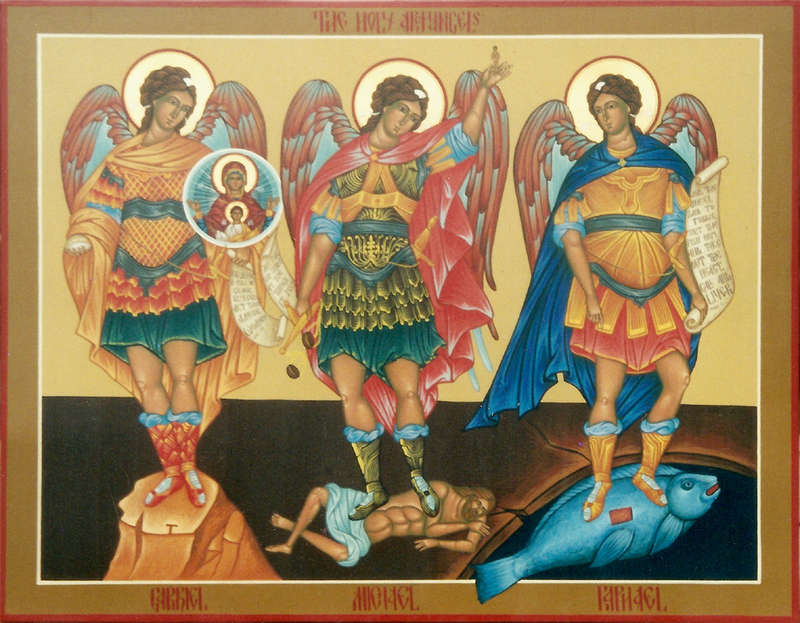 Today is the Feast of the Archangels, specifically Sts. Michael, Gabriel, and Raphael, whose proper names are divinely revealed in the Sacred Scriptures. Happy Feast! Angels are beautiful. They are “spiritual, non-corporeal beings” whose existence is “a truth of faith” (CCC #328). They “have intelligence and will: they are personal and immortal creatures, surpassing in perfection all visible creatures, as the splendor of their glory bears witness” (CCC #330; Dan 10:9-12). Furthermore, St. Augustine says: “‘Angel’ is the name of their office, not of their nature. If you seek the name of their nature, it is ‘spirit’; if you seek the name of their office, it is ‘angel’: from what they are, ‘spirit’, from what they do, ‘angel.’” In other words, an angel is a spirit who exercises the office or task as God’s messenger. Archangels are super-important beings. By simply existing and being named, the archangels help reveal to us the otherwise unfathomable reality of the Divine. Contemplating the archangels and their names is a great way to contemplate God, His identity, and His wondrous works among us humans.